Arrived at TI and had a $20 sandwiched between my ID and credit card. Was called next in line, was asked for my cards and gave the receptionist my sandwich. I immediately told her it was our anniversary and asked if she had any complimentary upgrades. She said “sure, let me check.” What threw me off for a second was when she asked when we got married. I was nervous enough about the sandwich trick and now I had to remember the date immediately! Thankfully I remembered right, just something odd I thought she asked, maybe just to see if they tell you the truth. We were finally offered a strip view from the 30th floor, a free bottle of champagne delivered to our room, and a ton of coupons which included 2 free buffets. I do wish we got a bigger room suite, but the standard room was still nice and the view you can’t beat! All in all, worth the $20. Next time I’m going to specifically ask for a Tower Suite though. 3pm check in time – slipped $20 in between card/id asked if any upgrades available, was chatty friendly – was given two free buffet coupons, bottle of champagne, upgraded to a strip view room with view of the Siren’s cove, 2 for 1 drinks at Kahunaville. Friendly clerk. Took the money. No upgrade possible (no rooms), no coupons or other discounts. Should come another day and left a remark in the system. Talked with another agent. Plenty of rooms available for upgrades she told me. However, no upgrade without extra payment. In short: got nothing for the money. Checked in at 330pm on a Wednesday via Priceline for 2 nights. We had never tried this before so we were extremely nervous but tried it anyway and IT WORKED! I flashed him my CC and ID with the $20 inside and he grabbed it out of my hand and said, “thank you for taking care of me, let me see what I can do for you”. He then gave us a deluxe corner room with a strip view on the 18th floor! This room had two windows instead of just the 1 and an extra 400 sq ft (great view of both the strip and the pool)! He also comped us a bottle of champagne and gave us a booklet with 2 for 1 buffet coupons, etc. Next time im going to ask them to waive my resort fees so we will see how that works lol! LOVE this trick! Checked in at 9pm on a Saturday, so I expected that there might not be any upgrades available. Multiple clerks were present, but only one group of customers was checking in as I approached. 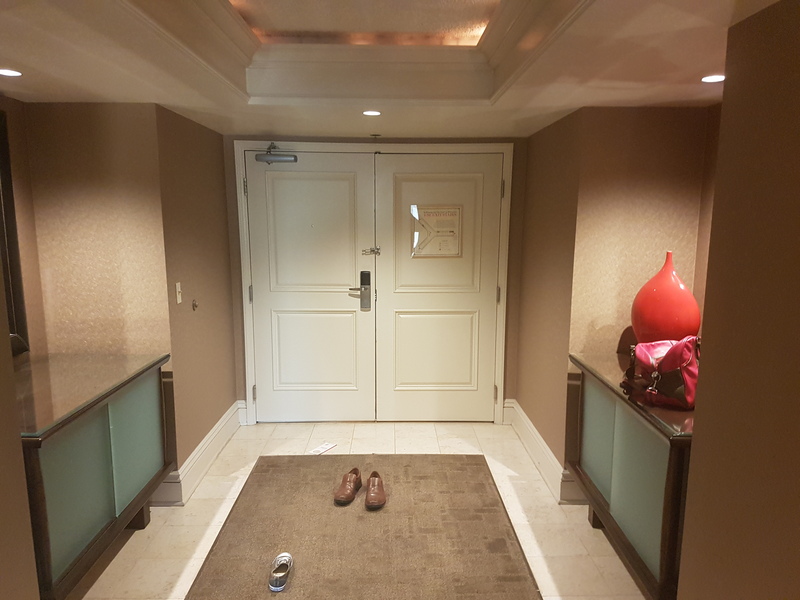 They stepped away, having finished checking in, and their clerk motioned for us to come over. I immediately put down the sandwich with the $20 bill poking out the front, introduced myself, and stated that I would like to check in please. I then immediately followed up by stating that my girlfriend and I were celebrating 2.5 years together, and asked if any complimentary upgrades were available. The $20 bill disappeared almost instantly, and both our clerk and another next to him began to grin (as did I). He said that they were mostly sold out, but asked if we minded a smoking room. 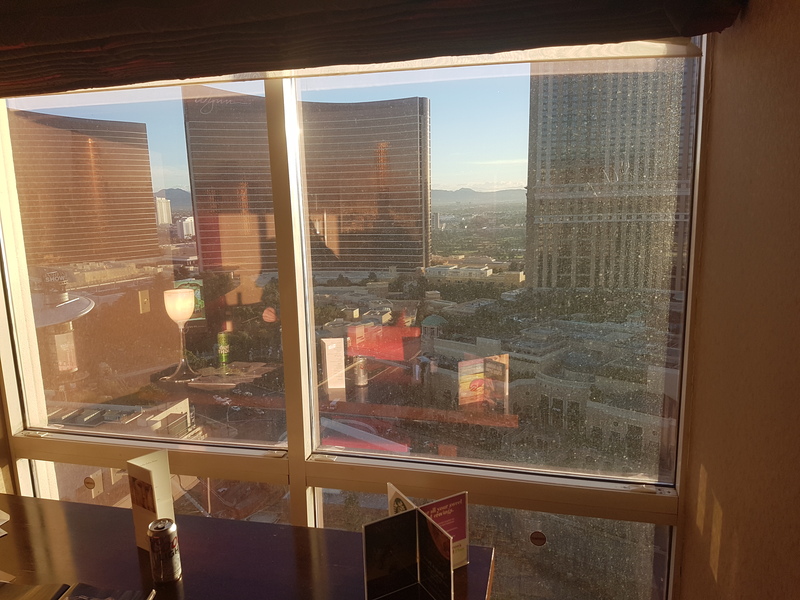 I told him that it did not matter to us, and next thing we know he had us in a corner room on the 36th (top) floor with a stellar view of the strip. He even threw in a bottle of champagne! 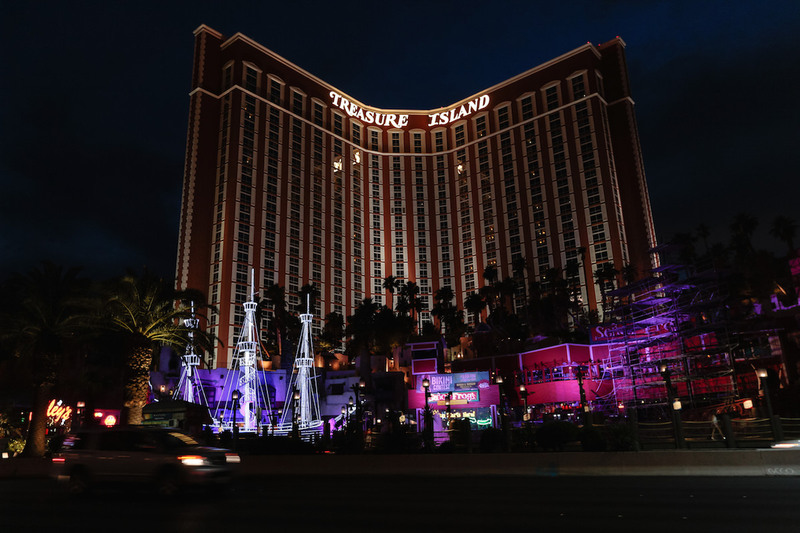 Will most likely try this trick again next time I’m in Vegas, and certainly if I’m at Treasure Island.